About Yourself: My boyfriend bought me my big new tank for my birthday and I couldn't love him more! Even if he hadn't bought me the tank! 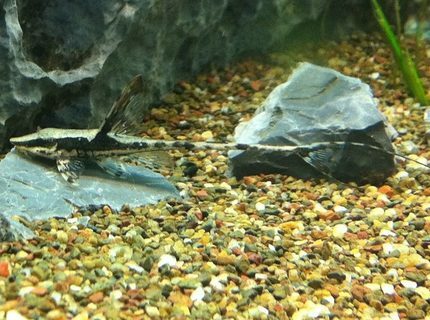 Corals/Plants: One Plant at the Minute, not sure what it is! Advice: Don't start an aquarium unless you're willing to put in the hours! 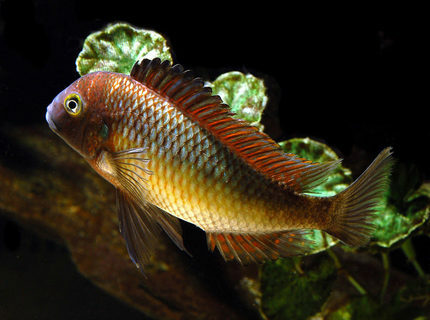 Fish Kept: Currently breeding Elassoma gilberti (gulf coast pygmy sunfish), a solid white strain of guppies, and working on breeding mandarin dragonettes. Corals/Plants: Freshwater: myriophyllum pinnatum, lysimachia nummularia, myriophyllum tuberculatum red, rotala wallichii, ludwigia repens, hygrophila difformis, hemianthus callitrichoides, utricularia gibba, cladophora, lemna gibba. Marine: Caulerpa prolifera, red gracilaria, a bottom holdfasted species of sargassum. Green star polyps. About Yourself: I am a Conservation and Land Management graduate. 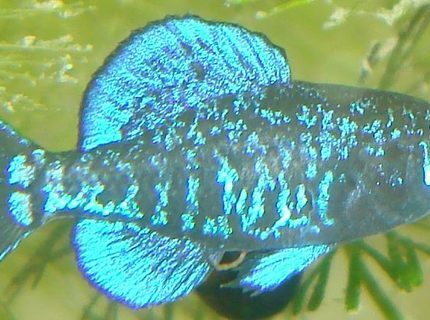 I'm ready to get back in the game after taking a break from fish keeping for 2 years. Advice: RESEARCH!!! 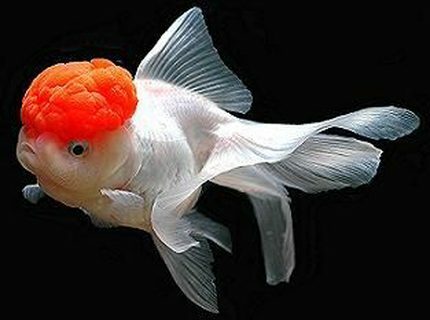 When I worked at an aquarium, we constantly got costumers that came in and asked why they can't mix this fish and that fish, any why they couldn't put a nemo in a fish bowl. Please do your research BEFORE you buy. 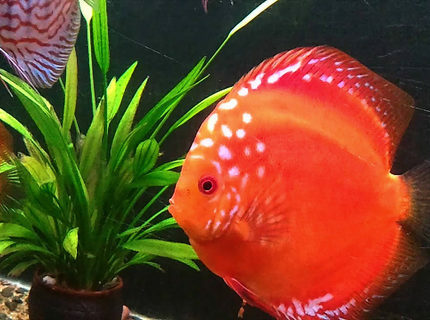 About Yourself: Keeping fish for about 30 years, have raised angels commercially and trying to raise Discus now. This show tank is my grow out tank. I have 4 30 gallon bare tanks in waiting for when the pairs start to get frisky. 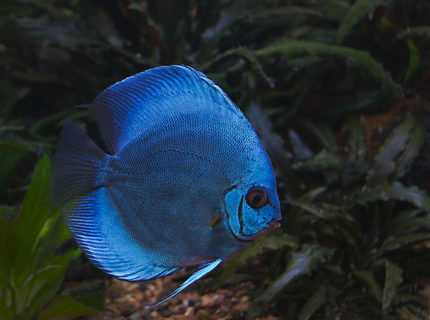 My other life long hobby is photography, so photographing my fish is the best challenge of all. 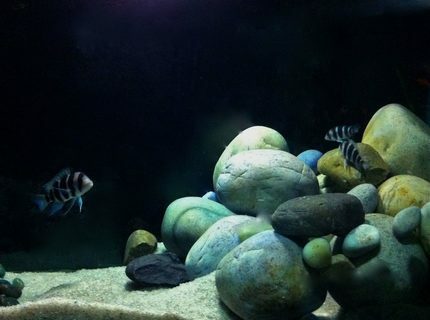 Fish Kept: Discus, Angel fish Cardinal Tetras, Clown Loaches, Gold Spotted Plecostomus and Albino Coryadoras. 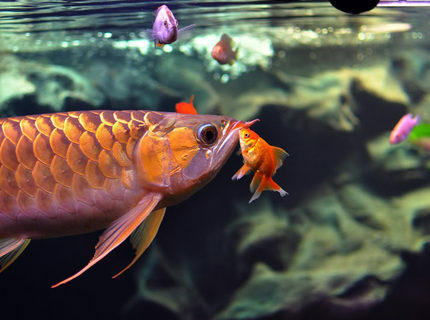 Fish Kept: African Cichlids, one Plecostomus, & a Gold Mistery Snail. Quote: Hmmm....if I move that and put that there and sell this.....I can fit another tank right there! Advice: WATER CHANGES!!!!! 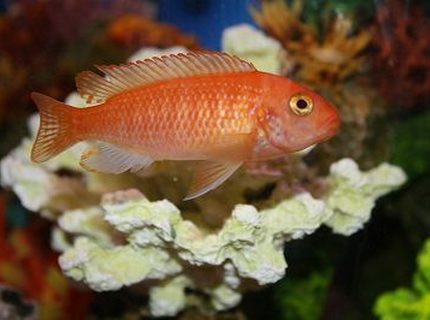 I failed for many years and many fish lives were taken...i used chemicals and it just made it worse....if you do water changes you dont have to worry about anything! Salt helps alot in freshwater to prevent diseases. 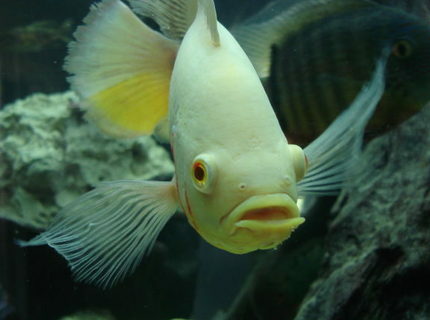 Description: Bob my 10 inch albino long finned Oscar, you can see how long his side fins are and his tail is extremely long!